What if we told you a place existed where you could workout in the wilderness amongst trees and green pasture, then when you’re done, you could pick your own fresh veggies and herbs before you head home to make yourself a healthy lunch or dinner. Maybe you’d assume we were talking about a utopian existence? Well guys, it’s our absolute pleasure to inform you that this place does INDEED exist and it’s literally magic at the bottom of a mountain range. Let us introduce you to The Farm Gym. 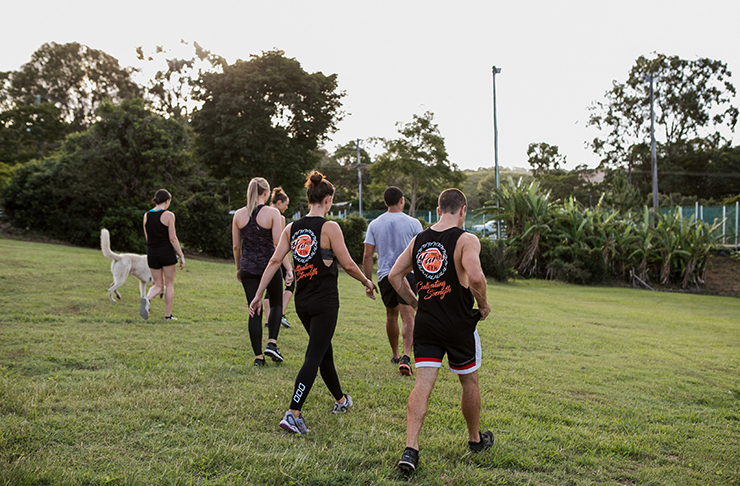 It’s one of the coolest concepts we’ve come across in a while and we’re hoping this incredible exercise revolution catches on, not only on the Sunshine Coast but also across the nation. 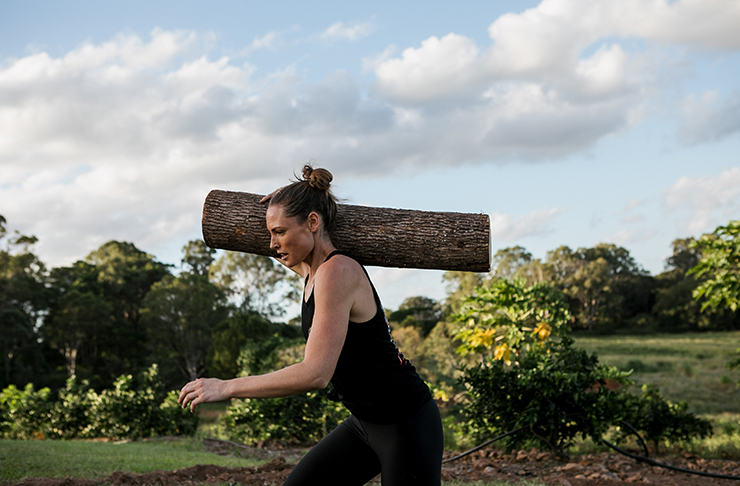 You see at The Farm Gym, it’s not just about pumping iron and busting out a few burpees; it’s about a holistic lifestyle approach. Owners Luke and Arcacia, a passionate husband and wife team, want to not only get you moving better, they also want you to eat better too, but most of all they want to connect you with nature in its purest sense. They’re connecting you with not only the food you consume and where it comes from, but ultimately with yourself. 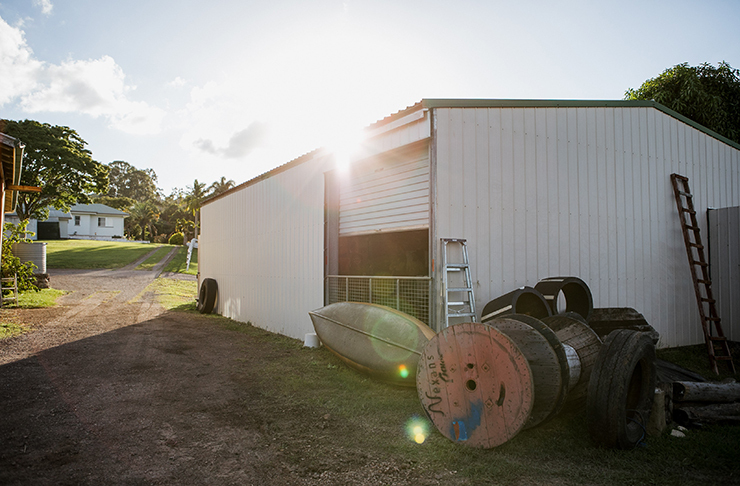 The Farm Gym, located in Nambour, is one of the most beautiful, tranquil properties—even featuring its very own lily pond where you’ll also workout. Your exercise will consist of both outdoor and indoor exercise. Plus there’s an adorable shed equipped with weights for the ultimate resistance sesh. And when you’re done, you can literally pick your own produce before you peace out. There’s an array of leafy greens, but our pick is the fresh fragrant herbs that will add an instant punch of awesomeness to every meal. At the moment they’ve got parsley, sage, oregano, mint, lemongrass, spring onion, lettuce, capsicum, pumpkin, oranges, limes and avocados on offer. Yes, we said AVOCADOS! We think this surely beats the post-gym sweaty activewear supermarket dash. And nothing tastes as sweet as a freshly picked watermelon after a challenging circuit round, amiright?! 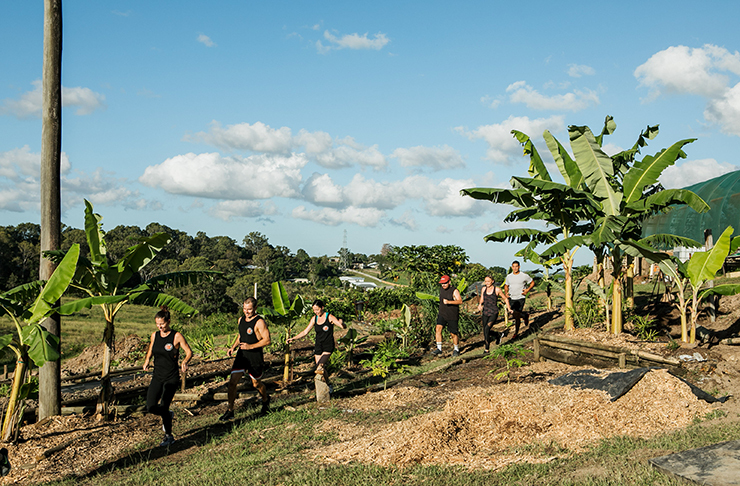 The Farm Gym has only recently opened BUT we have it on good authority that Luke has plans to build an obstacle course similar to those on the Survivor set. How FREAKING cool is that?! The members of this amazing movement are lovingly referred to as The Farmily. And before you even think about it, no, it's not a cult; it's just a bunch of awesome people, working out in paradise, sharing a bounty of produce from lemongrass to fresh eggs. Sounds amaze, yeah?! Well then, we’ll see you at the next session kids. This is a life decision you’ll be grateful you made. Promise. For more information visit The Farm Gym here. So you're near enough to the Hinterland. How about you do some exploring. We've rounded up the best things to do in the Noosa Hinterland here. What about visiting our round up of the best cafes in the Hinterland here. We know you love outdoor exercise so what about tackling our round up of the best hikes on the Sunshine Coast here.